The Prestige CD/SACD Player is naturally dynamic and wonderfully rich sounding. The Capitole Reference CD Player is able to present the magic and soul of the music better than any player near its price range. The Prima is Primo - the only player in this price range that competes with the bigger boys in terms of musciality. The Prestige amplifier is a beautiful, luxurious- sounding amplifier. The Prestige CD/SACD Player is naturally dynamic and wonderfully rich. Audio Aero is a French company that is a small subsidiary of a French conglomerate of the aerospace industry. It has entered the high-end audio business - not to make money, very few high-end companies make money - but for the love of music and the challenge of improving the average audiophile's experience. The result has been some very special products. In particular, their Capitole CD player has become one of the very, very few CD players that can convert ordinary 'redbook' CDs into... music. Audio Aero products are distributed in North America by Globe Audio Marketing whose website is more Netscape friendly than Audio Aero's (which is at this time, 2006, 100% Flash-based). The company's sound is richly harmonic with a slight brass-colored glow with probably the most realistic, analog like dynamics in the business. Many astute listeners are convinced that the Audio Aero Capitole CD Player is one of the 2 or 3 most musical CD players being made today (even though it is priced 'somewhat' modestly). There are other CD players out there, in fact quite a few, that have a more detailed presentation, that have more bottom octave slam and resolution, that have more 'air' at the top end. But the Capitole has enough of these attributes to satisfy... and one other key ingredient that so very few CD players have: it sounds like music. It can be an almost embarrassing admission to oneself - that a player that does not have all the wizz-bang audiophile-approved set of sonic attributes that all CD players are expected to have - but it just plain sounds better; one just wants to listen to it more often, one relaxes, perhaps taps one's foot when listening to this player. So in these respects: the Capitole is a break-through in CD player design. Most CD players, let's face it, produce an irritating, headache-inducing sound that, if anything, impresses the mind with bombastic dynamic ranges and microscopic detail - but never touching the soul. The Capitole can reach in and grab us and take us on journeys to places that we may have not seen since the days of our youth. The Audio Aero amplifiers have a sound that might be called 'charming'. Not very 'tubey', but not completely neutral either, they are musical and seductive. There are other tubed amplifiers out there - that do this or the other in a subtly different way, and so everyone should be able to find an amp that matches their tastes (though in practice - with limited time and budgets, this can be difficult). 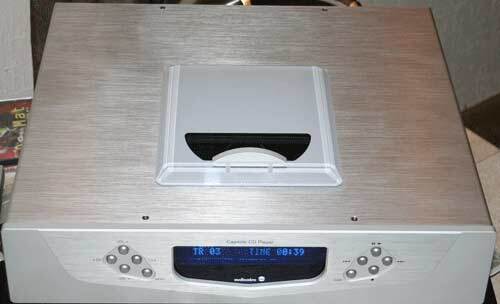 What we like about the amplifiers is that they mate exceeding well - majestically well in fact - with the Audio Aero CD players/ Because the CD players have a fully-functional output stage, they can be connected directly to an amplifier. They do not require a pre-amplifier, and, in fact, sound much better without one. Connected directly to an Audio Aero amplifier, the soundstage just engulfs one, the macro, midi and micro dynamics just loosen and free up so much more music and foot-tapping PRaT (pacing, rhythm and timing). So, if you have speakers that can be driven by a Audio Aero tubed amplifier, you really might consider getting one of their amplifiers to mate with your Audio Aero CD player. CD PLAYERS: STARS � digital resampling software from Anagram combined with an excellent, tubed, output stage. All CD players can be decomposed into 3 parts: transport/laser mechanism, DAC (digital to analog converter), and output stage. Audio Aero uses standard audiophile quality off-the-shelf transports from the leading manufacturers, revolutionary STARS � digital resampling software from Anagram in their DAC, and one of the, if not the, best analog output stage (tubed) that any CD player has ever had. These three things, taken together, make the Capitole unique, an evolutionary leap in technology, a revolutionary leap in sound. 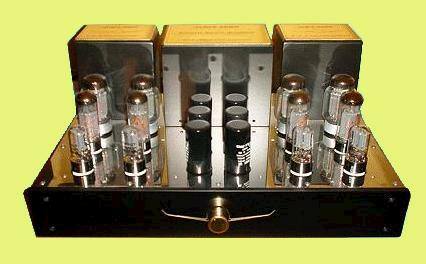 AMPLIFIERS: TRIODE Beauty with PENTODE (or, in the case of the Transtrac, MOSFET) Power. 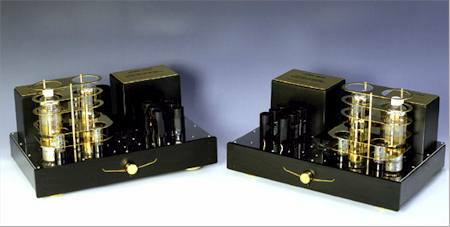 The sound of Audio Aero amplifiers has a natural beauty originating within the Triode tubes and supported by various innovative technologies to drive real-world speaker loads. Audio Federation's original Audio Aero webpage. We put some pictures of the Audio Aero Prima CD Player up on our BLOG. There was also some pictures of the Prestige amplifier, including some pictures taken at night up on our BLOG. The Prestige CD / SACD Player is good sounding - compared to the competition. some of which lists for a 50% higher price, often sounds bland and generic..
A black face plate will someday be available.. The Captiole Reference is a CD player that has a built-in, very high-quality, linestage and a volume control. This player is a classic that sounds so much better than the competition at its price point, even ignoring the fact that it also has a built-in linestage, and really excels at being able to bring the rest of a system up to point where it becomes much more enjoyable to listen to. And then there is the linestage, kind of thrown in for free. It is hard to over-exaggerate the quality of the linestage - we routinely run our $40K Walker turntable with Lamm LP2 phonostage through it, and it sounds quite excellent. By saving its purchaser the cost of a preamplifier, the cost of an interconnect between the CD player and preamplifier, and the cost of a powercord and any vibration control for the preamplifier, this player has an amazingly good price performance ratio. The Capitole CD Player is excellent for systems that need or want a very slight bit of analog-sounding warmth, or systems that are too bright, or the listener would like to use tubes but cannot or does not want to deal with tube amplifier's negative environmental issues (heat, maintenance, foot-print), or those systems that do not have 'charm' - that missing something that makes a whole system sound musical and engaging. Comes with silver or black face plates. Enjoy The Music.com's Bob Neill review. Inner Ear Report 2/2001 (Capitole mk I). International Audio/Video Review Featured Pick. 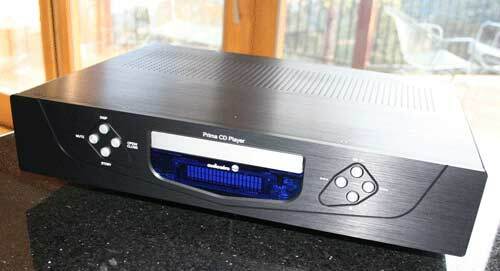 The Prima CD Player is very, very hard to beat at its price point - and at the current point in time, January 2006, it only has not been beat, it isn't even being approached from behind. Being not overly warm or cool sounding - the Prima works well with both solid-state systems and those with tube-driven equipment. 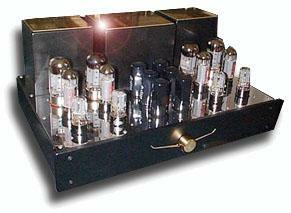 The Prestige amplifier is a beautiful amplifier.. Inner Ear Report Vol. 12#3. 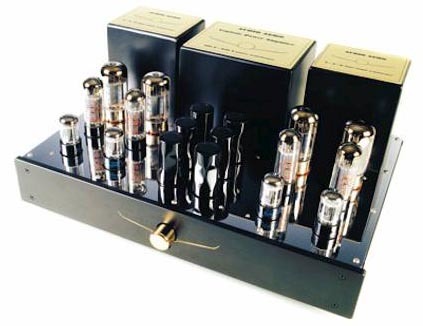 The Capitole amplifier is a push-pull, 50 watt per channel stereo amplifier. The Capitole amplifier is a very nice sounding amplifier which, at 50 watts, is able to drive quite a few speakers. It has a slightly brass-colored warm flavor, yet it is quite detailed (especially with respect to most of the competition which is muddy and compressed) to the sound that is wonderful and charming. The Capitole amplifier is excellent for systems that want the 'charm' of the Audio Aero amplifier sound and which have somewhat efficient speakers (as a rough guide: 2-way speakers with efficiency > 87dB, 3-way speakers with efficiency > 89db).